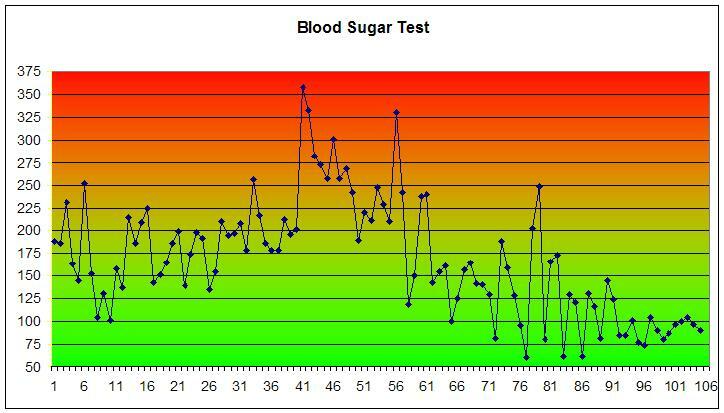 Diabetes Must Be Taken Seriousely – Diet is a big factor in blood sugar and after one week on Take Shape For Life he tested in the “Normal” range! 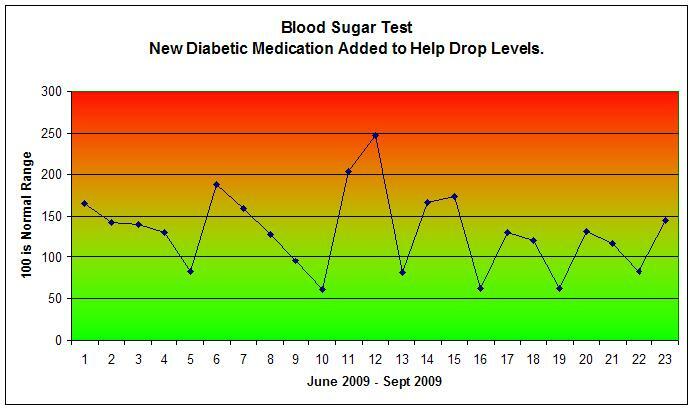 101 for Diabetics – – Getting your Blood Sugars in a “Normal” range, is crucial to getting this disease under control. Joe is about 30 pounds over weight. Mid 50’s. Yard work and home projects are his exercise, other than that he works behind a desk all week long. He’s married and has been pre-diabetic for about four years now. Joe is taking oral medications only. He has not had to go the route of insulin shots, thank God for him. About May of 2009 in addition to his Metformin, Glipizide was added (1 twice a day) to try and bring down his levels. It worked – but it caused his levels to drop too low, so he had to back off the dosage. Glipizide 1 tablet twice a day was added to the Metformin to bring his levels down. Then Joe decided to go on Take Shape For Life program. He started Sunday September 20th, 2009. 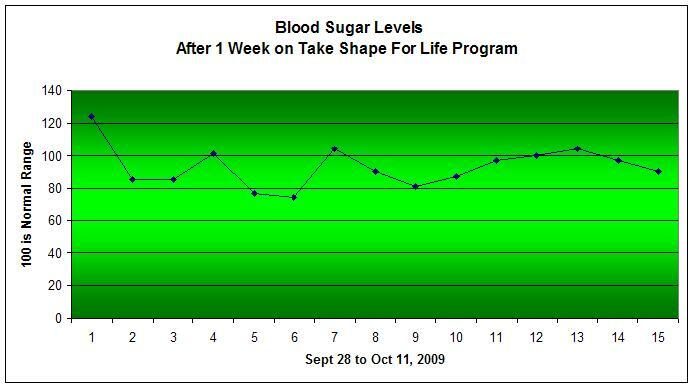 About a week after he started losing weight …he checked his blood sugar levels. They had dropped into a “Normal” range. Now, just finishing his 3rd week his blood sugars are in the 90’s. Joe shared with me that he had not taken either of his medications this past Sunday and his sugars tested 97 in the morning and 90 in the evening. Joe is doing great! His Blood Sugars are testing Normal! Diabetes & Obesity Are Taking Over Our Country! Time to get both under control. Please check with your Doctor before starting a weight loss program. I’m delighted for Joe and his family. Joe – Keep up the great work … and I’ll see less of you soon! This entry was posted in Joyce's Blog Notes and tagged Blood Sugar Levels, diabeties, glipizide, Insulin, metformin, Obesity, Take Shape for Life, Weight Loss. Bookmark the permalink.